Designed for hot or cold environments! Right out of The Clone Wars TV show! Included Obi-Wan Kenobi figure features 14 points of articulation. How do you get around in the cold? 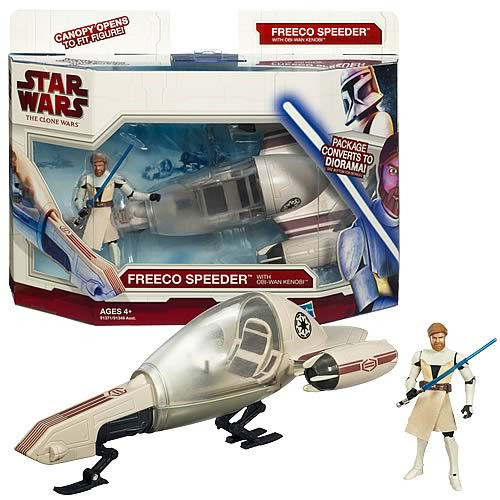 Try the Freeco Speeder! This fully enclosed vehicle lets a Jedi fly through the frozen wastes while not getting frostbite! This set includes 1 action figure with 14 points of articulation and a lightsaber accessory, and one 3 3/4-inch scale vehicle.